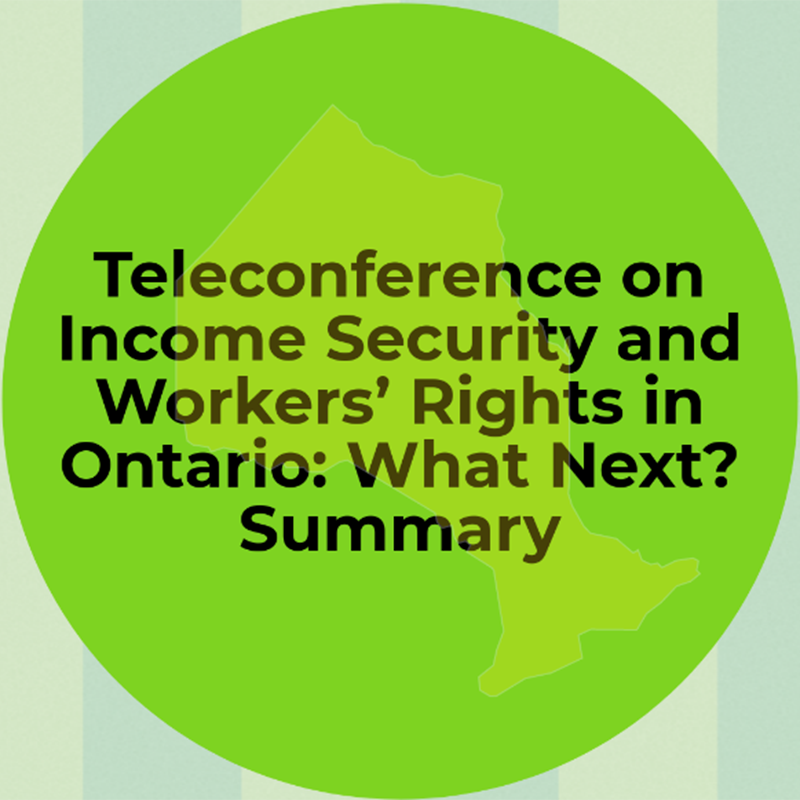 Income Security and Workers’ Rights in Ontario: What Next? On January 16, 2019, Ontario Campaign 2000 brought together individuals and organizations across Ontario to discuss recent changes to social assistance and workers’ protections — and discuss next steps for advocacy. Jennefer Laidley (Income Security Advocacy Centre) and Pam Frache (Workers’ Action Centre) presented. Time was dedicated to participants’ questions and key messages concerning the proposed and legislated changes.